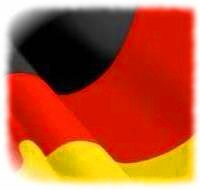 Das Deutschlandlied (“The Song of Germany“, also known as Das Lied der Deutschen, “The Song of the Germans”) has been used as the national anthem of Germany since 1922. The music was written by Joseph Haydn in 1797 as an anthem for the birthday of the Austrian Emperor Francis II of the Holy Roman Empire. Haydn also used the melody in the second movement the Kaiserquartett, a string quartet that is still widely performed today. The tune is often used in the English-speaking world for the hymn “Glorious Things of Thee are Spoken” by John Newton. In this context, the tune is called “Austria”, “Austrian Hymn”, or “Emperor's Hymn”. 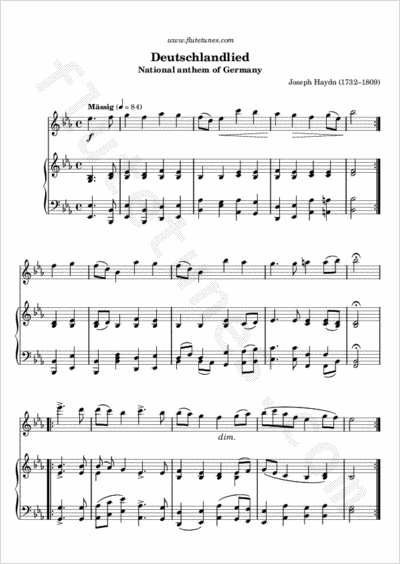 The tune is also used for the hymn “Not Alone for Mighty Empire” by William P. Merrill.